Your generous gift, of $2,000 or more, to the Medici Circle scholarship program will open doors that would otherwise be out of reach for remarkable students. Medici scholars take their education beyond the classroom to collaborate with academics and artists in our community and around the world. Because of this, scholars return to UCI with a reshaped artistic vision. ​*Please indicate your preference in the comments section of the online gift form. Click here to make your gift of $2,000 or more. To make a gift by mail, please download and complete this form and then return it to the address listed on the form. 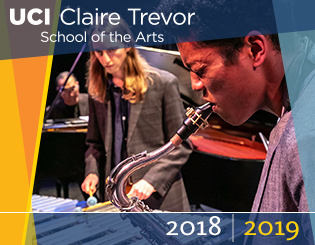 If you have any questions about becoming a Medici Circle Patron, please contact Jana Cain, Director of Development, at (949) 824-8750 or jana.cain@uci.edu. Thank you and we look forward to welcoming you to the circle of Medici Patrons this year. Check out pictures of past Medic scholars and patrons.